We've all heard that old cliche, am I right? And I must admit, sometimes, it really does seem like everyone in the world around you has it together a little better than you. Maybe they have more money to spend. Maybe they have the job you always dreamed of. Maybe they seem to have the perfect family. Whatever it is, it's not hard to get caught up in that feeling on not living up to your own expectations of perfection. But let's be honest--- no one has the perfect life! Sure, it may look like that from the outside, but chances are, they also have those things that they are looking at in someone else's life that they wish they had. Think about that...the people whose life we are admiring and wishing was our own...wants to live the life of someone else too! When we spend all that time thinking about the life we wished we had...we miss a lot of good stuff in the life that we WERE given! Maybe we don't have the greatest job- not glamourous or fancy as we'd always dreamed- but perhaps that job allows us more time with our family and friends. No matter what negative things are happening, there is always that little bit of good! What would happen if we focussed on those things, rather than the bad things? What if we strove to love the life we were actually given rather than the life we wish we had? This truly is a fantastic book! This isn't just a book that tells you what to do and how to do it, it truly is a personal journey that we are given a ride along on. We see how see challenged herself and her experiences within those challenges. It's like a personal journal that we can follow along and learn from. By the end, you'll feel as though she's a friend...and you'll hopefully find yourself inspired to start loving your actual life too. This is a book we can all learn a lot from, but that won't feel like we're being lectured! It's certainly a must read! 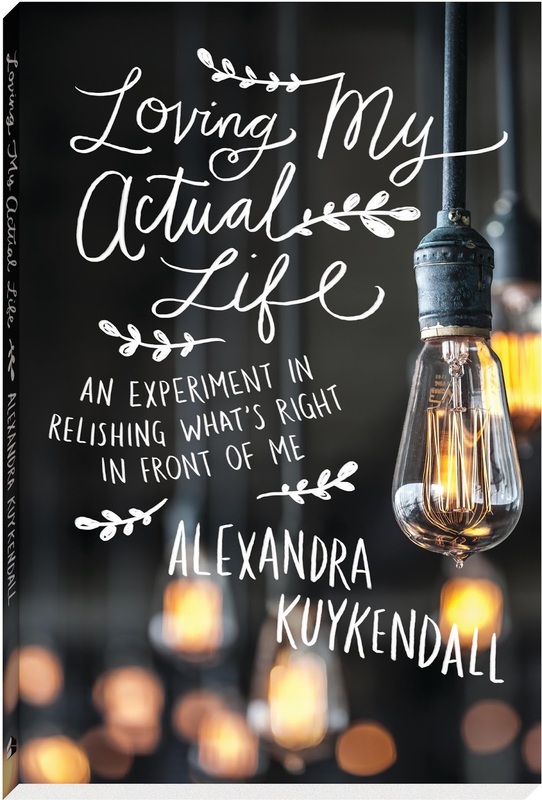 Loving My Actual Life is available to purchase now at your favorite Christian book retailer. I need this so desperately!! I am in such a rut!! This is such an important lesson! I don't really do a good job of just enjoying what I have or where I am in life. I feel like I'm constantly working at something to be able to get there and I need to learn to just be content where God has me and happy to grow as He wants me to.